Don’t we all hate it when people think of SEO as a magic wand? And the scenarios never end!!! There are hundreds of different ways to do SEO, including sitemaps, link-building, and search-engine-friendly site design and so on. The best strategy for successful SEO can differ by product, by page and even by season. Identifying what works best for each case is what really shows results. In many times, well-known strategies for SEO may not work for a client, while certain tactics that may not be expected for them could work like a charm. 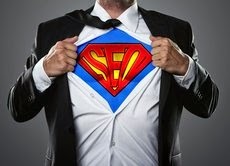 The bottom line is, an SEO specialist is not a magician but an Architect or an Engineer. We are directors, we orchestrate the whole online existence of the business and integrate it to physical life. We are marketing specialists, we design and draw marketing strategies, segmentation, targeting, and positioning. We are analysts, we research the market, identify strengths, weakness, opportunities and threats. We are Brokers, we buy and sell (online) real-estate and placements all the time. We are problem solvers and crises managers, when a new algorithm hits, we know how to contain it and recover the site and protect the business. We are the Big Brother, we oversee the big data world of numbers, internet traffic distribution, traffic flows, channels, Trends, and daily buzz.